Researchers at Northern Arizona University think they may have found an environmentally safe and readily available weapon against the tree-eating armies of bark beetles. ...the beetles were exposed to digitally altered recordings of their own calls, the sounds they make to attract or repel other beetles. The response was immediate. The beetles stopped mating or burrowing. Some fled, helter-skelter. Some violently attacked each other. Our interest is to use acoustic sounds, specific only to each species, that make beetles uncomfortable and not want to be in that environment. 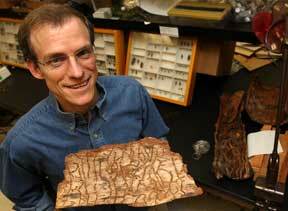 — NAU Forest Entomology Professor Dr. Richard Hofstetter. Taking inspiration from The Secret Art, Reed Seifer's latest work, Spray to Forget launches at The Armory in New York, March 4-7 2010. While based in concept, SPRAY TO FORGET utilizes well-researched ingredients in support of its function. An aesthetic olfactory experience is provided through a blend of essentials oils selected for their reputed aroma-therapeutic benefits in grounding and elevating the emotions. Herkimer diamonds and black tourmaline, crystals believed to metaphysically assist in the elimination of tension from the body, were steeped for several days in the purified, magnetized water used to create the spray. SPRAY TO FORGET, handmade in an edition of 500, is available in a 2 ounce (60 mL) glass bottle. The beautiful letterpress label is signed and numbered. A new, commissioned build of Gordon and Duncan's Purr Generator will be part of the "Life, Liberty & the Pursuit of Happiness" exhibition opening at the American Visionary Art Museum on October 3rd. The new Purr Generator, dubbed a "happiness machine" by exhibition curator Roger Manley, features a simplified interface with a single push-button control for operation. 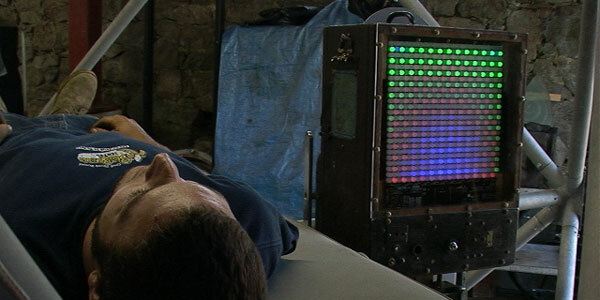 It is also sporting a new LED component based on the Peggy 2 from Evil Mad Scientist Laboratories. 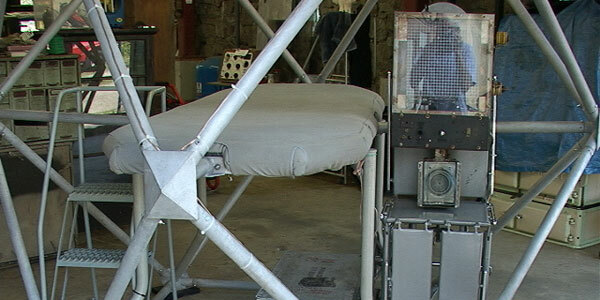 The exhibition runs through September 2010, a good stress test for the interactive parts of the Purr Generator. There are a series of opening events starting on Sept 30th with a Media Preview, followed by a private Reception on Oct 1st, a Preview Party on Oct 2nd and the public Opening on Oct 3rd. Details can be found on AVAM's Events page. 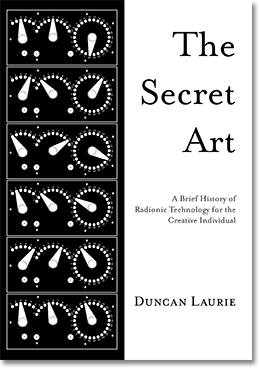 A thoroughly revised and updated version of Duncan's book on radionics and the arts has been submitted to the printer today. 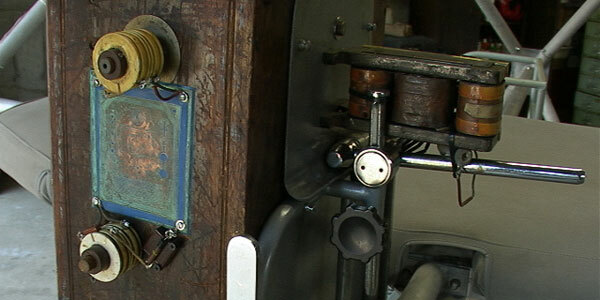 The previously titled "A SHORT HISTORY OF RADIONICS: INSIGHTS FOR ARTISTS WORKING WITH SUBTLE ENERGY" is re-dubbed "The Secret Art: A Brief History of Radionic Technology for the Creative Individual"
The manuscript finally being produced in physical form has been a herculean effort undertaken at the behest of Patrick Huyghe of Anomalist Books. The text and illustrations have taken shape over the past year through the direct labors of Duncan, Patrick, Mike Bossick, Jessica Paulk and myself. The book should be ready in time for the upcoming opening of a museum show that Duncan has several artworks in. More information on the show will be available within the week. Max for Live puts the power and potential of Max/MSP inside Live. 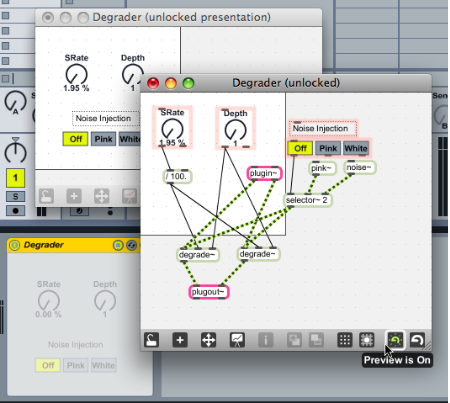 Create all the instruments, effects and extensions you've ever wanted. Go beyond the common and predictable, and transcend the limits that conventional tools impose. Build completely unique synths and effects, create algorithmic composition tools, or fuse Live and controller hardware into radical, new music machines. Join a society of makers and share ingenuity. Max for Live was co-developed by Ableton and Cycling '74.